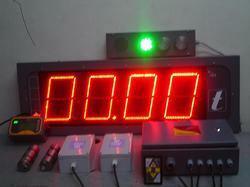 We offer Load Monitoring Indicator For EOT Crane. The innovative range of smart lift inspiron offered by us helps in sensing and monitoring crane loading. Through this range, we pave a new solution for the development in the field of crane safe guard instrumentation. These equipment helps in overcoming the overhead produced in the automatic trip of up motion under overload condition. These are helpful as the operator can graphically study the conditions on which the machine is connected to the system of the cabin or pendant graphical lcd display. 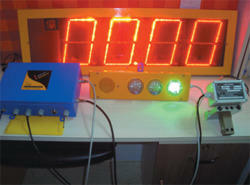 These Load Monitoring Indicator are used For EOT Crane Gantry cranes. In order to attain maximum client satisfaction, we also offer these lifts in customized sizes and test on various parameters like resistance to humidity, temperature and vibration. We also test the equipment on transient protection testing for flawless operation under severe climatic conditions such as lightning which ensures easy operation and service. SMART LIFT -MASETRO is a new approach to crane safety instrumentation. It senses and monitors the various parameters of the crane such as Crane lifted load, Boom Angle, Boom Length, Lifting Radius and the SWL based on rated capacity chart. All the parameters of the machine are visible to the operator at a glance, graphically on the LCD display which aids him to fully utilize the crane's capacity while keeping within the Safe working limits of the crane. The system pre warns the operator of any impending safe limit breaches through audio visual alarms. Motion Cut off relays are provided for locking out those functions that may increase load moment such as lowering or extending the boom or lifting the load. Extremely flexible this system can be customised to meet your most demanding requirements. The system includes compatible sensors from the Smart lift series, namely the Anti two block sensor, Angle sensor, Angle and length transmitter, Line rider , Load plate and the wind speed sensor. Our extensive range of Smart LiftOne i.e Industrial Lifting Equipment is developed in accordance with DSP technology and widely utilized in industrial material handling equipment. These Load Limiter are used For EOT Cran_e Load Limiter. It is an innovative approach towards Cran_e safe guard instrumentation. These are enabled with electronic sensor which senses the Cran_e loading, therefore automatically trips the up motion under overload condition. As the overload condition is removed, the up motion restores back. We design our range in various customized forms at economical prices without compromising on Cran_e safety. We are engaged in manufacturing, exporting and supplying a comprehensive range Crane Bus Bar LED Indicator - by the brand name SMART LITE - Sparkle . SMART LITE - Sparkle is a new approach towards Crane Bus-bar 3 Phase power indication for overhead cranes. It is a vibration-resistant, solid-state LED based unit which provides a long maintenance free operating life. SMART LIFT Inspiron is a new approach towards crane safe guard instrumentation. It senses and monitors the crane loading and automatically trips the UP motion under overload condition. The UP motion is restored automatically once the overload condition is removed. 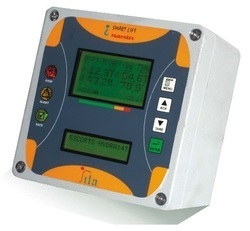 At a glance, the operator can find graphically all the parameters of the machine connected to the system on his cabin or pendant graphical LCD Display. Established at Pune, Maharashtra, India, we are leading and well recognized manufacturers and suppliers of Load Indicating Instrumentation and Overload Protection products for Industrial Material Handling Equipment. With solutions offered providing for safety of material handling equipments, here our expertise lies in offering application solutions with support of standard products. Our business operations are led by experienced management which ably supports the team in perfectly understanding as well as matching up to the emerging product demands of the market. Further, the close working relationship we have maintained with the customers and in achieving high satisfaction levels have been made possible through offering comprehensive technical support including field services as required. Today, we consistently work towards our goal of providing world class crane safe guard systems, associated products as well as services that supports the needs of maximizing client’s material handling operational efficiency. While delivering the solutions, we also ensure that there is product and spare parts availability maintained at all times backed with fast and simple installation & accurate calibration as well as process reliability that clients can count on.